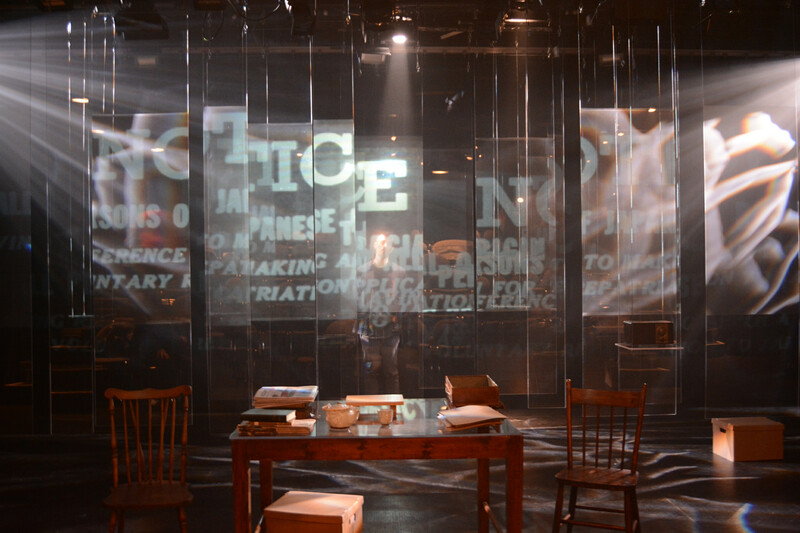 “The Tashme Project” is a 75-minute verbatim theatre piece that traces the history and common experience of the Nisei through childhood, WWII internment and post-war resettlement east of the Rockies. The Nisei, now in their 70’s and 80’s, were children at the time of internment and their stories of adventure and play are presented in sharp relief to the more common internment narratives of hardship and injustice. Made up of 25 interwoven interviews with Nisei from Toronto, Hamilton, Kingston, Montreal and Vancouver, the piece moves from voice to voice, story to story with fluidity and with a purposeful and constructed gracefulness. Created and performed by Matt Miwa and Julie Tamiko Manning, The Tashme Project is an embodiment of Nisei character, language, spirit and story. As actors, we portray the voices of both men and women interviewees as we seek a deep emotional and spiritual connection with the stories of our elders. 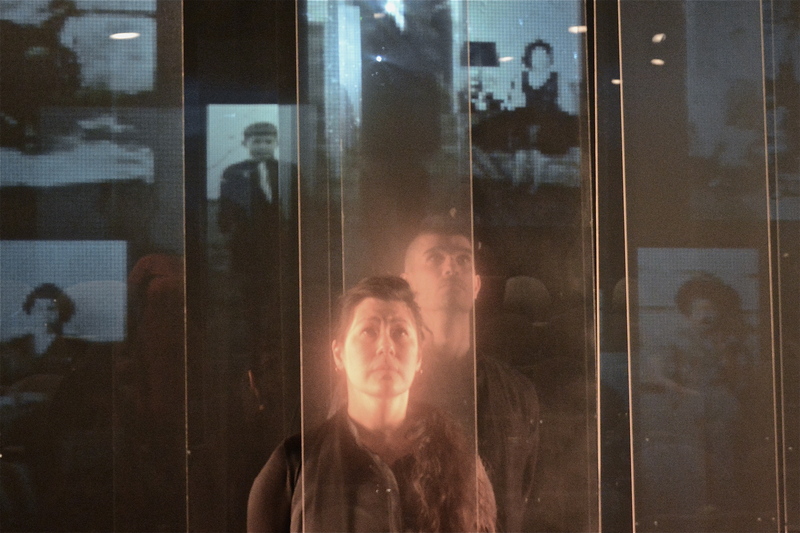 There is a legacy of silence surrounding internment, passed down through Japanese family and culture that prompted Tashme’s creation; it is a silence we respect but also carefully break through as we articulate our discontent with it through this piece, as 3rd and 4th generation Japanese Canadians. Ultimately, The Tashme Project is the juxtaposition of testimonies from the stoic 1st and 2nd generation Japanese Canadians with the unabashed curiosity of younger generations looking back upon Japanese Canadian history in loss, anger and in love; It is through this gesture and this lens that we invite audiences to access both this particular history as well as a broader perspective on the Canadian immigrant experience. In the nine years we’ve spent interviewing our elders for this show, the biggest fear they express consistently across the country, is the disappearance of Japanese Canadian community and culture. They are the youngest generation interned, and having rebuilt their lives several times over, they are witness to the ramifications of this Act’s broader policies in which internment was only one aspect: Forced “relocation” to the camps, and then east of the Rockies post-war, broke vibrant Japanese communities apart twice, and scattered its population across rural and urban Canada. Often unwelcome, and desiring to assimilate quickly into their new ‘homes,’ the first generation discouraged the transmission of Japanese language, culture and belief to their children and grandchildren, and with the community dispersed among mostly non-Japanese Canadians, 75% of their children’s marriages were mixed. Younger generation Japanese Canadians (our generation), do not therefore look or speak Japanese, or even identify with the community. Because of a deep and silent shame, stories of internment have gone untold and unheard, even by the children of the nisei, but especially by their grandchildren, and now great-grandchildren. The legacy of the Japanese Canadian internment therefore, is a story that must continually be retold, especially in the current political climate and debate around the world’s immigration crisis and the ongoing fight for immigrant rights and dignity. Tashme is a piece that illuminates the large and many subtle traumas that are inevitably part of the immigrant experience, and as much as Tashme is a lesson about a dark chapter in Canadian history, it is more a deep investigation into the ties that bind, and the ties that are shattered in the generations-long process of cultural assimilation. It is presented as a microcosm both relevant and accessible to Canada’s multicultural fabric. It is our intention to connect younger Japanese Canadians more deeply to their parents, grandparents, and great-grandparents, as well as ignite a desire to rediscover their Japanese-ness and reinvigorate the dwindling Japanese Canadian community. In a very gentle way, the performing of The Tashme Project across this country is a political act: the displacement, incarceration and deportation of the Japanese Canadian community from the West Coast of Canada during the Second World War by the Canadian government was tantamount to cultural genocide. In 2018, we are now seeing the results of that: loss of culture, language and identity. By disseminating the oral history of our elders, we are fighting against the potential loss of our community and rebuilding a sense of Japanese Canadian identity and pride.